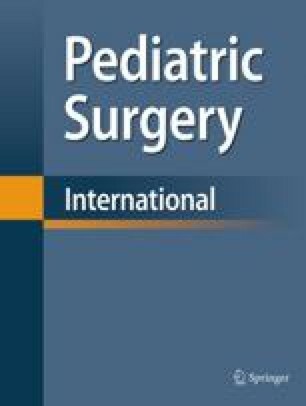 We review a single surgeon and surgical centre’s experience with congenital cystic adenomatoid malformation of the lung (CCAML) in relation to clinical spectrum, operative experience, and postoperative course. A retrospective hospital record review was done on surgically treated cases of CCAML over a 10-year period, focusing on number with antenatal diagnosis, spectrum of postnatal presentation, type of surgery performed, and outcome. Forty-seven patients from birth to 14 years of age underwent surgery for CCAML. Antenatal diagnosis (ante) was made in 30 cases. Of these, 10 became symptomatic before surgery. Six of the 17 postnatally-diagnosed (pnd) cases were an asymptomatic incidental finding. Overall, 16 were symptomatic in the 1st year of life, and five were symptomatic beyond 1 year of age. Symptoms varied from respiratory distress (seven ante, six pnd) to chronic cough (three, and recurrent chest infection (three ante, two pnd). All preoperative diagnoses were confirmed with chest CT. Most patients (25) were operated on before 3 months of age. Eleven were operated on in the first 2 weeks of life as emergency surgery for respiratory distress. The most common lobe involved was the right upper lobe (16), and lobectomy was performed in 42 cases, segmentectomy in four, and pneumonectomy in one. Seventeen cases were extubated immediately postoperatively; 29 required postoperative ventilation overnight, and nine needed more prolonged ventilation. Early postoperative complications included pneumothorax (two), pleural effusion (one), and chylous effusion (one). Late complications included recurrence in three cases (all segmentectomy), who then subsequently underwent lobectomy. There was one death from respiratory failure. Because there is an increasing trend in the detection of asymptomatic antenatally-diagnosed CCAML, consideration of early surgical excision to prevent complications is suggested by our series. CT scanning is mandatory for postnatal evaluation because chest x-ray could be normal. Safe elective excision after 3 months is supported by our low morbidity and less need for postoperative ventilation. Lobectomy is the procedure of choice to prevent recurrence.